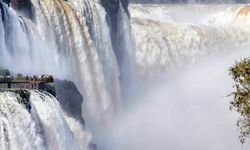 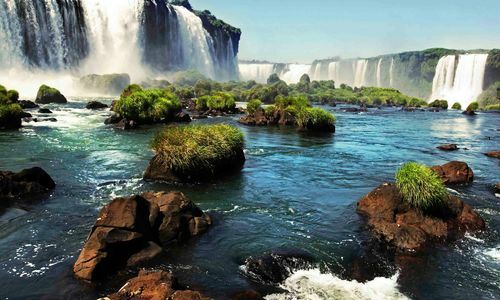 A tour of the Iguaçu Falls, on the border between Argentina, Brazil and Paraguay, is an unforgettable spectacle. 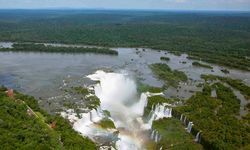 Meandering 400 miles west from its source in the coastal mountains of Paraná and Santa Catarina, the Rio Iguaçu finally widens and falls over an area one mile wide, thundering 240ft down to the river below. 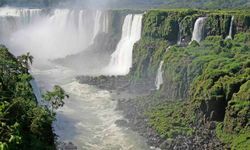 Iguaçu is wider than Victoria Falls, higher than Niagara and, in the opinion of most people who visit, more beautiful than either. 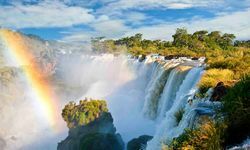 Many argue over which country offers the best views of the Falls, and you should try to view them from various angles, allowing you to decide who wins. 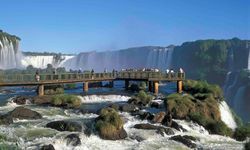 On the Brazilian side, the best panoramic view is undoubtedly from Garganta do Diablo (Devil's Throat) or you can see the falls from the river itself, and even from the air. 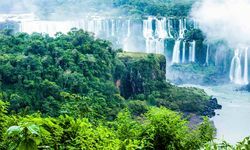 Many Brazilians venture across to the Paraguayan town of Ciudad del Este to shop for cheap electronic goods. 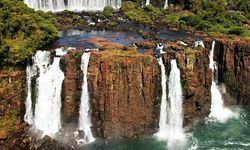 This gives rise to the rather strange sight of South American families, soaking in the spray of the Falls, lugging vast plasma screen televisions across the catwalks of Iguaçu. 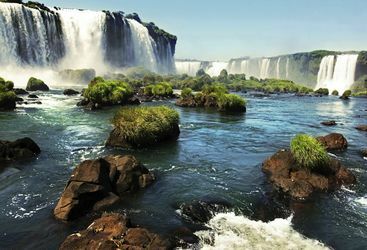 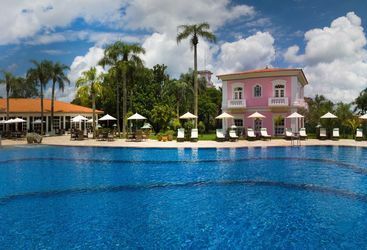 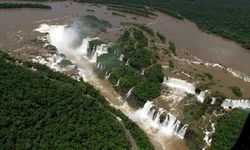 We consider Iguaçu to be a year round destination as the falls are even more impressive in the rainy season and visitors aren't so concerned if there's no sun.